Centre is open out with these normal hours for community groups, events and meetings by prior arrangement. It can be booked for birthday parties, conferences, community groups, meetings etc. It has excellent kitchen facilities and disability access. We also have office space for community groups. Rates are negotiable based on your group’s circumstances. We have five computers for free public access with internet. People can use to check their emails, Job searches or work on their resume etc. · Our community support worker, which is funded by Community Services, is here Monday to Thursday, they can offer advice, assistance and advocacy on range of issues such as housing, Benefits, Health, Domestic violence, and other Community services. · Our Community Development worker, which is funded by Housing NSW under the housing communities programme, is here five days a week. They give advice and support to community groups, community leaders, partner agencies and can assist with event management, project management, and support/ advocacy on policy issues, or help you to become more involved in community life. · We have Russian support worker who can offer range of support and advice services for our Russian community. This service is provided by Jewish care and operates Monday to Wednesday. 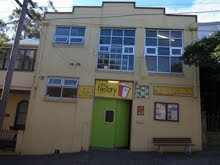 · We also operate a pre-school in Redfern – Poets Corner. All support services are confidential, independent, impartial and free.